Regardless of the exact plans you have for birthing your baby, you probably hope (or dream) of a calmer more comfortable birth, with little or no pain relief required. 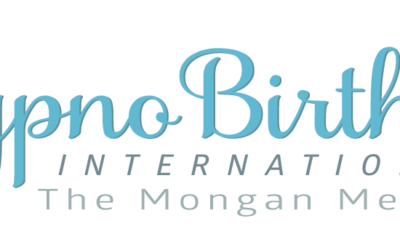 HypnoBirthing® the Mongan Method is a comprehensive antenatal program which provides you and your partner with skills, understanding and techniques to tap into the age old idea that women’s bodies are designed to birth with minimal assistance. Hugely beneficial for first time parents, HypnoBirthing® childbirth and antenatal classes are ideally attended between 20-34 weeks of pregnancy and birthing couples are encouraged to attend together. The comprehensive five week HypnoBirthing®course (suitable for both new and experienced parents) will ensure you and your partner are fully prepared and educated on how to achieve a calmer birth, how to work together as a team, how to breathe and stay relaxed, and what to do if things don’t go to plan. Most couples find over a HypnoBirthing course that they learn so much about natural birth and parenting that the tools and approaches gained become invaluable, not only for the birthing experience, but also throughout parenthood with a newborn and toddler. What does a course include? There are two options for you to use HypnoBirthing for your babies birth. 1. Group classes over five weeks. As an experienced birth educator + coach + therapist, I can’t currently offer group classes for HypnoBirthing in Brisbane. However my wonderful colleagues can assist you with local Brisbane HypnoBirthing group classes. These usually cost $600-$660 per five week course. If you wish to work with me, it is my pleasure to offer you private in-home sessions /private refreshers (for a second or third HypnoBirthing birth). Private sessions are naturally more expensive, but are ideal if you need a more flexible teaching approach or less structured teaching times than a group course. Private HypnoBirthing sessions with me cost $975 for the entire course, and are conducted at your home after hours (usually Sundays) or on a week night. Anytime from 25 weeks onwards is a great time to begin your birth preparation journey. Whichever preparation option you choose (private or group) HypnoBirthing is a wonderful way to welcome your baby’s into the world with calm and confidence. As long as your HypnoBirthing teacher is certified and suitably experienced then you are in good hands. If you are interested in private sessions please get in touch with me via the enquiry form further down the page. Yours in support of gentle birth + parenting from the heart for our beloved children. Why do HypnoBirthing with me? 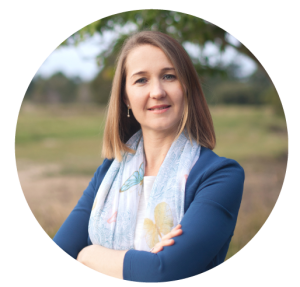 I am a fully certified HypnoBirthing® Practitioner Affiliated with the International HypnoBirthing® Institute, am a member on the Australian HypnoBirthing International Steering Committee, and have been teaching HypnoBirthing® classes since 2010. Additionally I am trained Clinical Hypnotherapist + coach who specialises in teaching you the theory and techniques that you need in an experiential way. I work with you and your partner to ensure you both get benefit from the entire HypnoBirthing, family oriented approach to birth. These days I teach mostly via private sessions, which are conducted from your home during the evening or on the weekend by prior arrangement. These enable you to get flexible education, in a more timely manner if group classes are not convenient for you. You can obtain more details about what private sessions cover by providing your details in the form below, or call me for a chat on 0409 615325. Coming back for a HypnoBirthing refresher session?? For couples who have already used HypnoBirthing® for a previous birth, I offer a single in-home session of 3-4 hours. a fear release to prepare both parents for another great birth. A refresher is ideally booked between 28-34 weeks of pregnancy and is fully tailored to your needs including 3.5 hours of private in-home tuition, updated class materials etc. Private refreshers cost $325, and you can contact me to book yours via the contact form below. Thanks for the course – we got our natural birth! when is your baby due and is this your first baby?